Public health nurses in Norfolk County are voting this afternoon on a tentative agreement that may end the first Ontario nursing strike in almost a decade. The tentative deal to end the 12-day old strike was reached overnight with assistance of a mediator appointed by the Ministry of Labour. 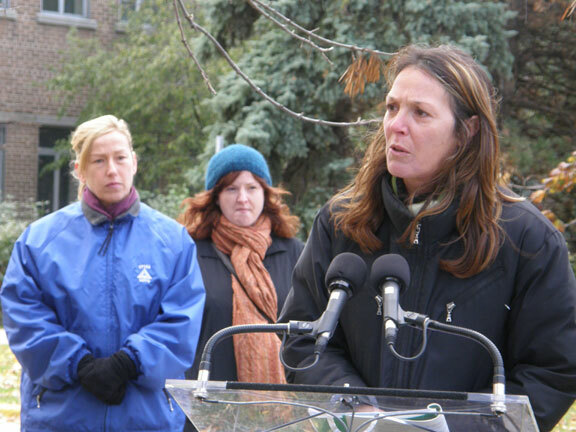 “I want to again thank everyone in this community who showed such overwhelming support and respect for our nurses,” said Linda Haslam Stroud, president of the 59,000 member Ontario Nurses’ Association. TORONTO – September 13 labour and community groups stood up for health care, marching past Toronto’s “hospital row” and rallying on the lawn of the Ontario legislature. Singing, dancing and remembering those who died unnecessarily — speakers vowed to make politicians accountable during this election. Sponsored by the Ontario Health Coalition, buses brought activists from across the province to the rally. A moment of silence was observed for those who had recently died during Ontario’s C Difficle outbreak. 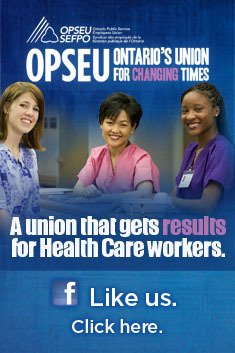 OPSEU 2nd Vice-President Nancy Pridham was among labour leaders who joined community activists on the speaker’s podium. To watch a five minute video of the two-hour event, click on the box below. And please share!